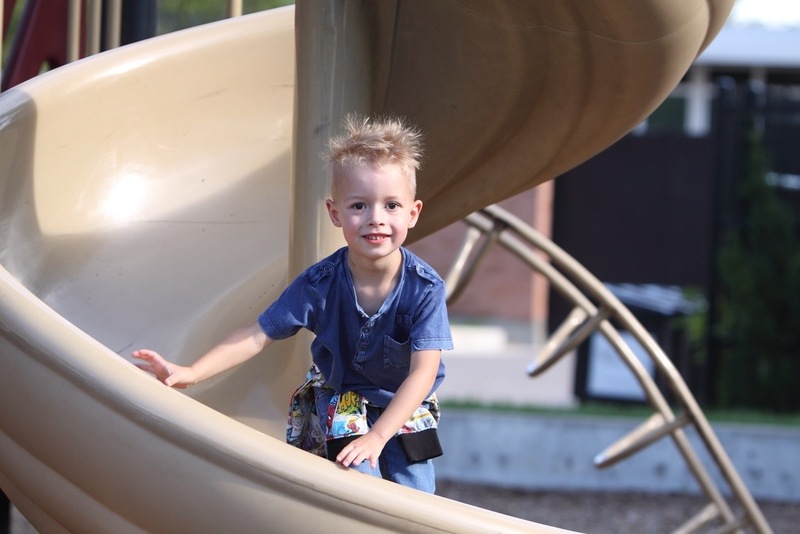 We got lucky and have a playground right in our community, but it is fun to take the boys out and explore new playgrounds. It has been crazy hot out, talking 90+ every day so our trips have been very short. We have also discovered that Hurleigh HATES, and when I say hate I mean scream bloody murder, tears whole shebang hate, the pool or splash pad. That’s making for an exceptionally hot summer. We managed to get him at least in the tiny kiddie pool at home, so that is a start. We got a cooler day so we took full advantage of it. 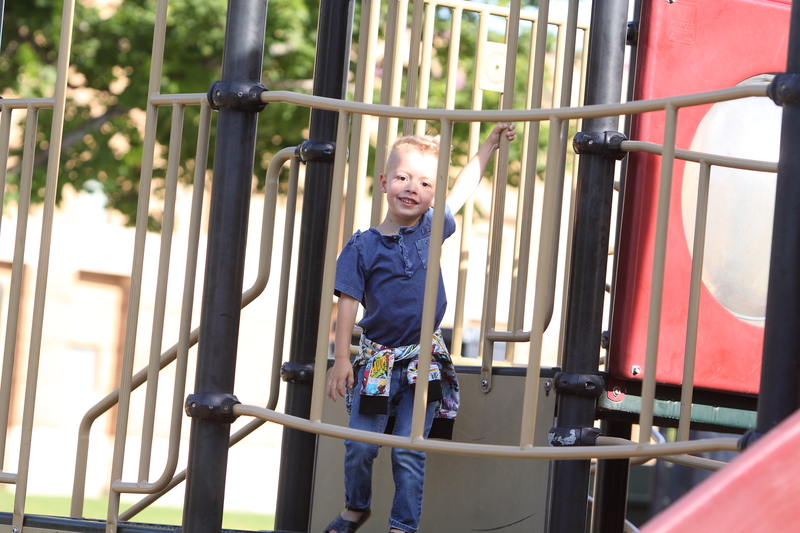 We have been going to movie in the park on Monday nights and right next to the amphitheater is a pretty great playground that Beni has been begging to play at. 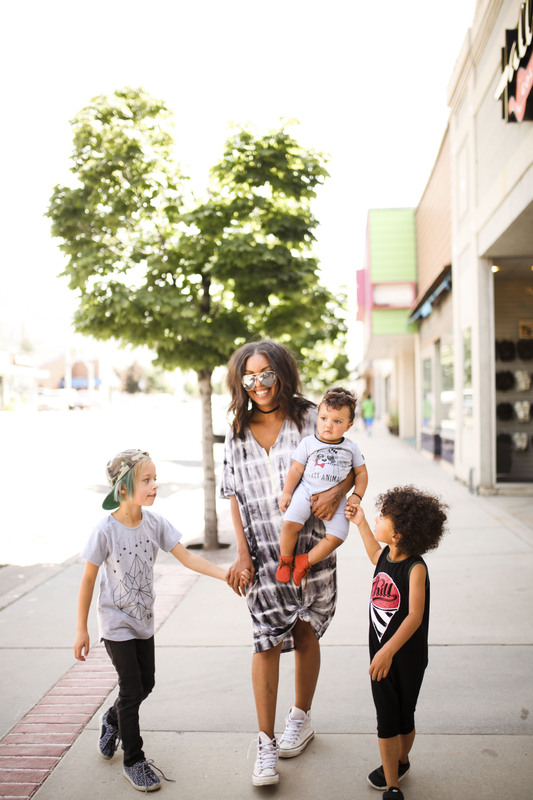 We had a shoot in downtown Ogden so we took the boys over for some much needed play time. 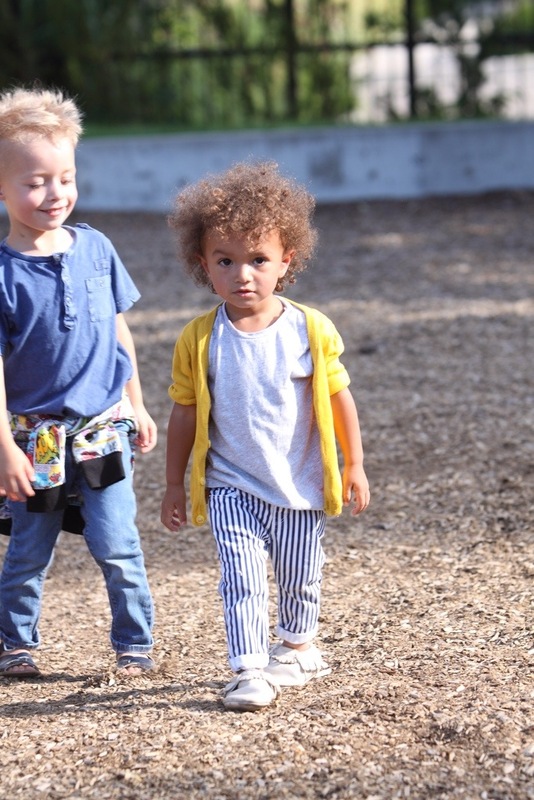 Matching outfits can only mean one thing… photo shoot! Those pictures will be up later along with a HUGE surprise. They had so much fun. They are the best little partners in crime. 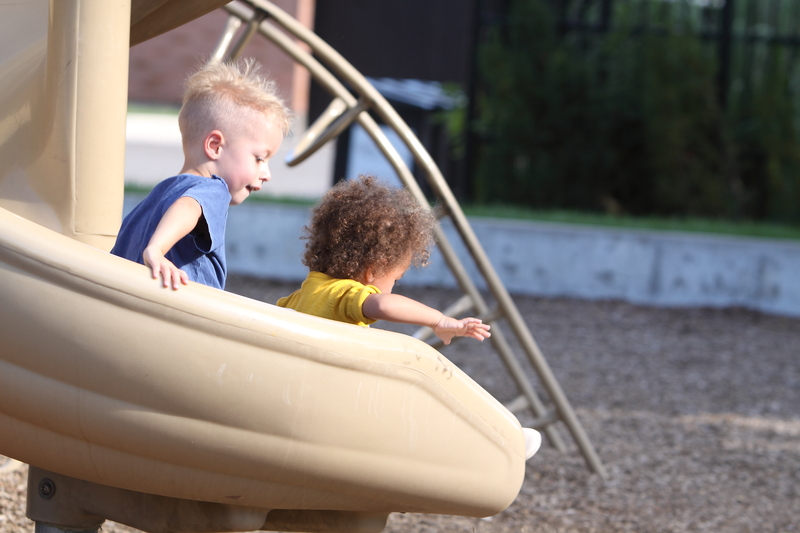 Beni always makes sure Hurleigh is okay and helps him up to the slide and down. I can share with you one sneak peek from another shoot with the amazing Toni J Studios. 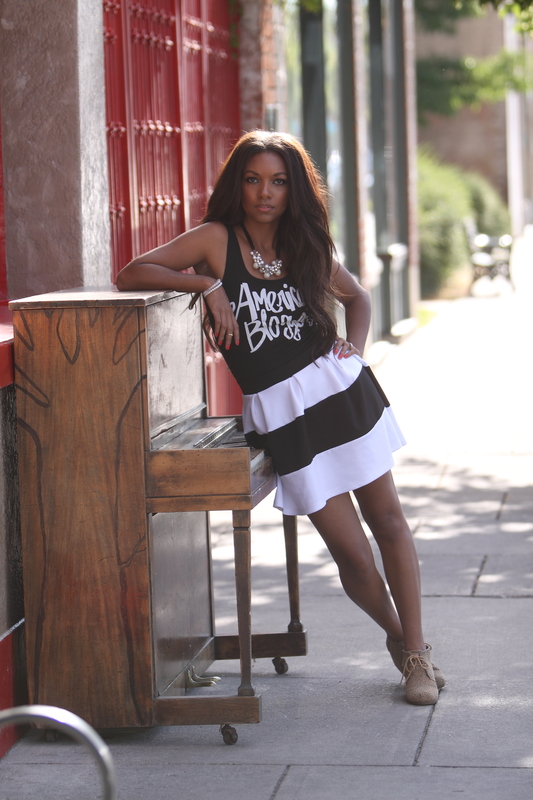 Stay tuned for the whole shoot soon featuring this amazing tank from The Printed Palatte. 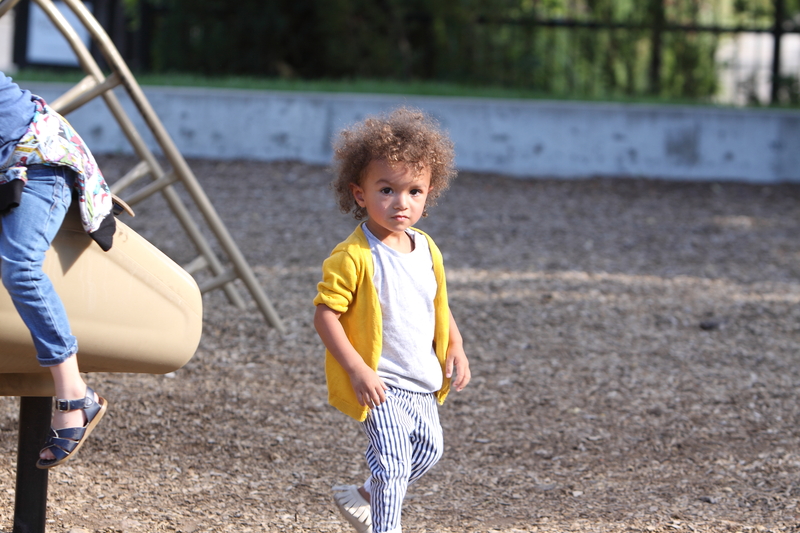 Stay tuned for the rest of the amazing photos from this shoot soon!